At Myanmar Shalom we are committed to grow our business in a sustainable manner. We aim to maximize the positive effects of tourism on individuals and local communities, while minimizing negative social, environmental and economic impacts. 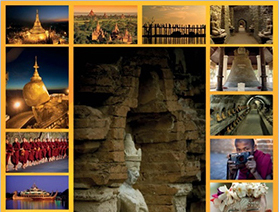 As a local based company, we are focused on to the benefits that tourism can bring positive impact to Myanmar and its people. We believe strongly in playing our part in making Myanmar not only a better place to visit, but also a better place to live. Myanmar Shalom Travels has been helping villages from Kalaw to Inle that we use for trekking route to make destinations better places for people to live in and for traveler to visit. Annually we provide school supplies, water system and rebuild & restore the classroom for new students. In 2016 Myanmar Shalom Travels has assisted funding to build class room for remote village in Bagan area and provide school supplies to over 300 students. When the Cyclone Nargis hit Myanmar, Myanmar Shalom Travel, its travel partners and clients raised over 20000 US Dollars which were used for emergency relief, distributing food, rebuilding villages, houses, clinics and schools. Myanmar Shalom supports financial assistant and restoration to over 130 years old Yangon only Synagogue, one of the heritage buildings and top tourist attraction in Yangon. Through our efforts, in June 2016, the synagogue was recognized by the Yangon Heritage Trust and the Yangon Regional Government as a historically significant building. A blue plaque was installed to remember the Jewish community who lived in Yangon for many generations and to recognize the diverse faiths still alive in the city. Myanmar Shalom has sponsored interfaith events and advocate for a better understanding between different faiths and peoples and support in dialogue with leaders from different communities. Every year since 2012 Myanmar Shalom founder, Sammy Samuels, is invited to attend an interfaith meeting with the country’s leader, Aung San Suu Kyi. A growing number of our programs incorporate a ‘Giving Back’ provide the local areas we visit with the necessary tools and education to improve their lives for generations ahead as we look to further develop and instill our ethical and environmental principles throughout all areas of our business.